The United Nations World Food Programme (WFP) and the Government of Cote d’Ivoire today signed a Memorandum of Understanding for the creation of a Centre of Excellence Against Hunger and Malnutrition in West and Central Africa. It will serve as an enhanced knowledge management repository of best practices that contribute to achieving the goal of ensuring no one goes hungry in the region. 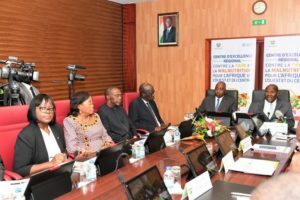 The Centre, which will be based in Abidjan, will draw upon the expertise of WFP, and the specific strengths of Cote d’Ivoire and other countries in the region in family farming, postharvest loss management, malnutrition control, convergence of nutrition, community resilience and social protection. Cote d’Ivoire has prioritized the fight against malnutrition and hunger in its plan to become an emerging nation. It has developed successful models for homegrown school feeding and is committed to share its expertise and resources to scale up efforts by other countries. The regional centre seeks to replicate the successful South-South cooperation experience of the WFP Centre of Excellence based in Brazil that has assisted governments in Africa, Asia, and Latin America in the fight against hunger, while promoting sustainable school feeding models and other food and nutrition safety nets. 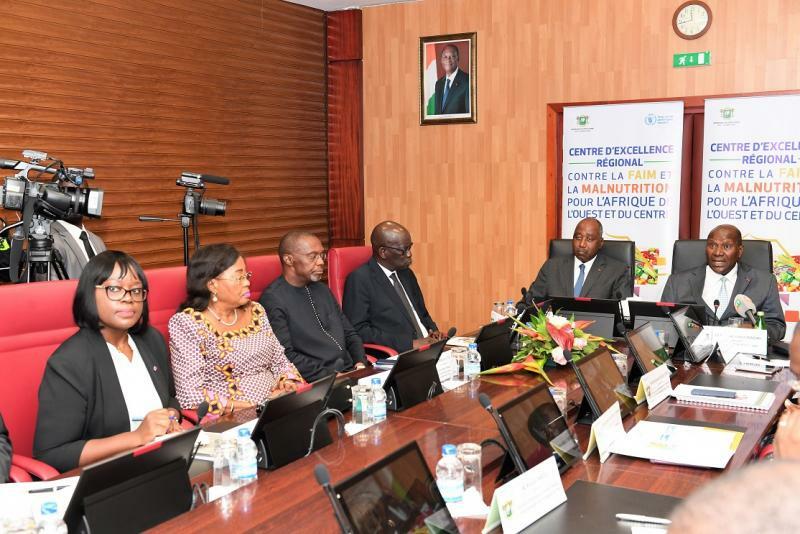 #News – @WFP & Cote d’Ivoire 🇨🇮 today created a Centre of Excellence Against Hunger & Malnutrition: an incubator of solutions & a meeting point for sharing hunger solutions adapted to the African context.